Discover some of our wonders, traditions, myths and legends and even our crop circles. Be inspired by how much Wiltshire has to offer by viewing our videos. For a long time, Wiltshire has been used as a film and TV location from Castle Combe in the original version of Dr Dolittle to the more recent BBC dramas, Wolf Hall (filmed at Lacock Abbey and Great Chalfield Manor) and Poldark (filmed in Corsham). Step into your own period drama by walking the same streets as used for many of the locations. If you are short on time and only have a day to explore, we’ve put together some itineraries for day trips highlighting some of the key places to visit. Perhaps you are looking for ideas for your family, a holiday & shortbreak, or a romantic getaway? Let us inspire you with some of our amazing things to do and places to stay. If you are planning to visit Stonehenge we’ve details on the various tour options available to you. If Wiltshire is the place you want to be on your special day then we have plenty of wedding ideas for you to choose from; country house hotels, the chapel at Old Wardour Castle, and many more. Watch the changing seasons on a break to Wiltshire, we aren’t just a summer destination and you’ll find plenty to do in the colder months from walking our ancient landscapes through to relaxing in one of our luxurious experiences.We have ideas for; sunny and rainy days, top 10 highlights, car free days and Wiltshire on a budget. Keep up to date with our social pages and use our #timeforwiltshire to find out what you can get up to. Keep an eye on our competitions page for your chance to win some fantastic Wiltshire prizes - keep checking back as well as new competitions are regularly added. 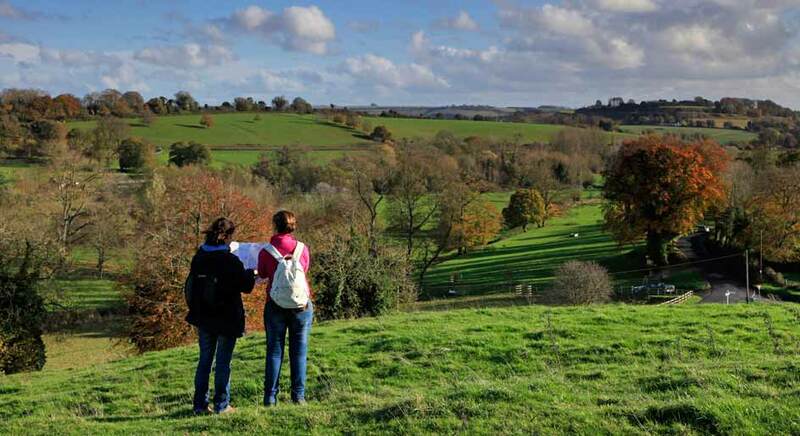 Press pause on your busy schedule and make time for Wiltshire this year!